ATI T5 Bulbs have been at the forefront of T5 bulb technology since there 1st introduction in 2000. Since then, ATI Engineers have continued to research and develop ways to manufacture an even better T5 Bulb. ATI`s NEW GENERATION of T5 Bulbs continue this tradition of excellence. Unlike other brands, including other German-made T5 bulbs, ATI T5 Bulbs use the latest advances in phosphors (phosphors are the stuff inside the bulbs that emit light) and manufacturing techniques to produce bulbs with higher output, better coloration and more stability. 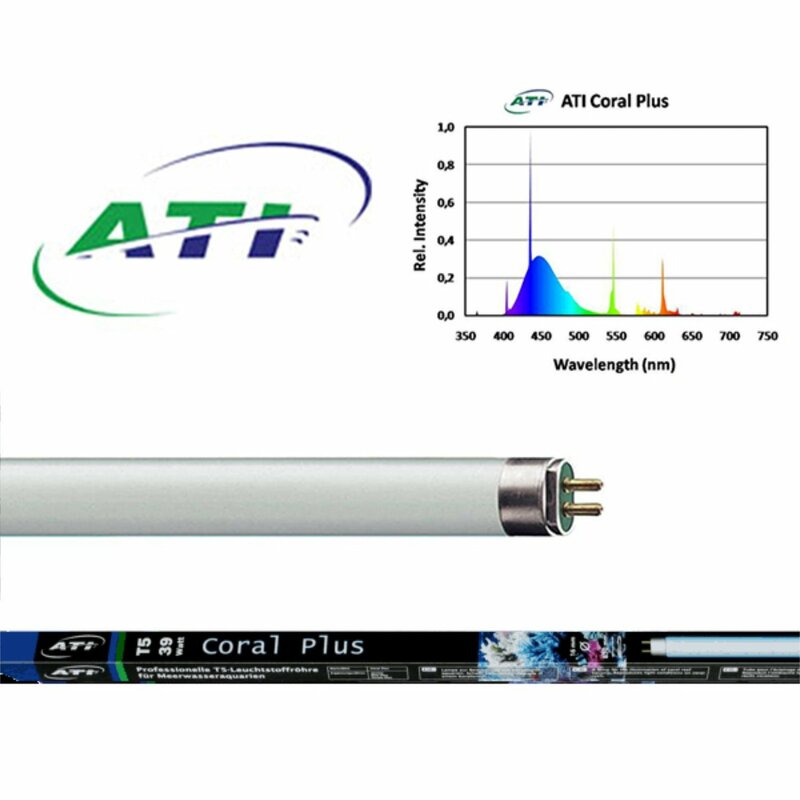 By using better quality phosphors and improved manufacturing techniques, the new versions of the ATI Blue Plus and ATI Aquablue Special have better output and improved color over the previous generations. And as you all know, ATI was proud to release the all new ATI PURPLE PLUS Bulb, which was developed to replace the ATI Pro Color. Lastly, while again keeping the hobbyist in mind, ATI bulbs are also very affordable making them a great value and a preferred choice of experienced hobbyists throughout the world.